This is a great way to honor your league's champion. 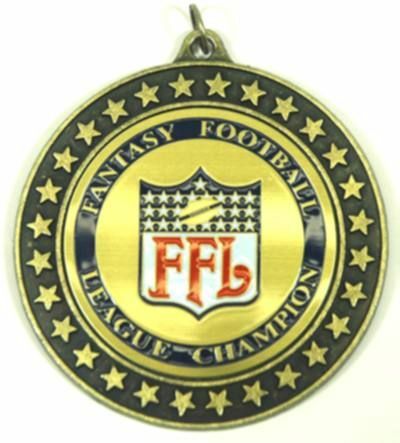 The Fantasy Football Champion Medal is a 2 3/4 inch medal with our exclusive FFL Champion Disc inside. Free shipping if ordered with any other shipped product (Add on).